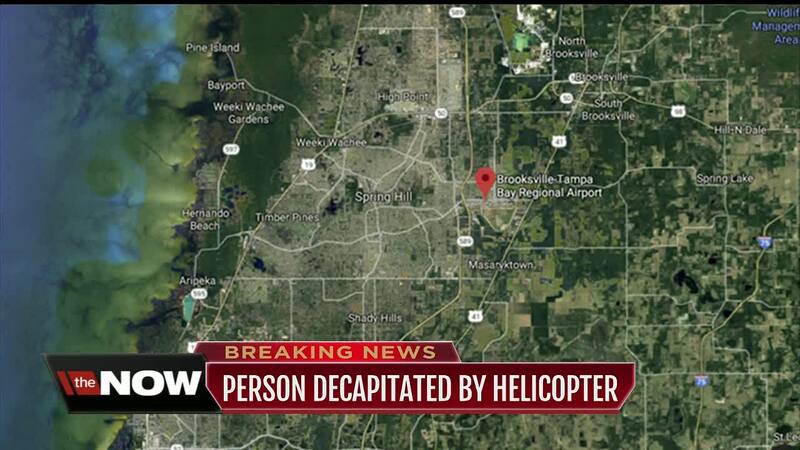 A Fire Rescue official, confirmed to local CBS station 10News that the victim was decapitated by the rotor of the helicopter. The Federal Aviation Administration said Disi was on the ground performing maintenance on the helicopter when they were struck, according to ABC News. The sheriff's office is working with the FAA and the NTSB to investigate the death. "The caller stated he and another individual were using a power cart to jumpstart a helicopter when, for an unknown reason, the helicopter suddenly jerked up and then came down", authorities said. The sheriff said a "very serious aircraft accident. did result in someone losing their life". The sheriff's statement says the motion caused the main rotor blades to strike Disi in the head, killing him instantly. Mr Neinhuis said that the incident accorded near the hangers, rather than on a runway.